Puerta del Sol is one of the most popular areas, right in the middle of the city. It is close to the main shopping street of Gran Via and near to tourist attractions. 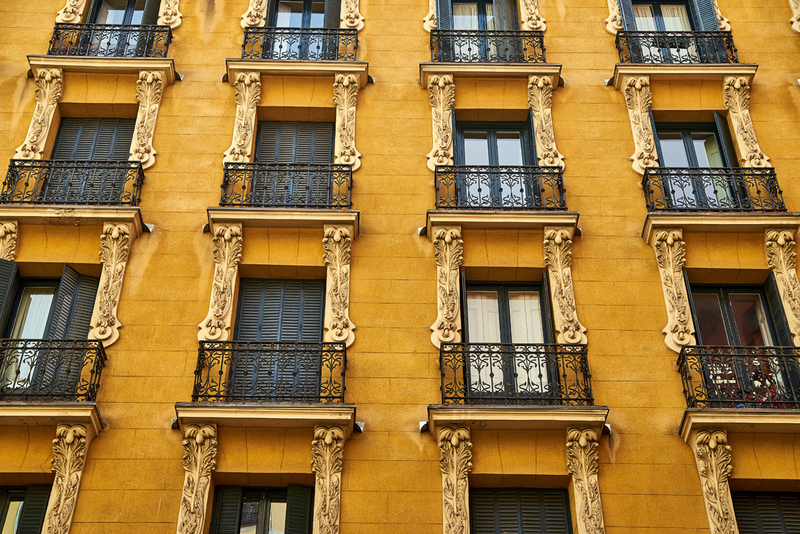 If you prefer a more authentic neighbourhood, consider staying in La Latina or Malasaña. 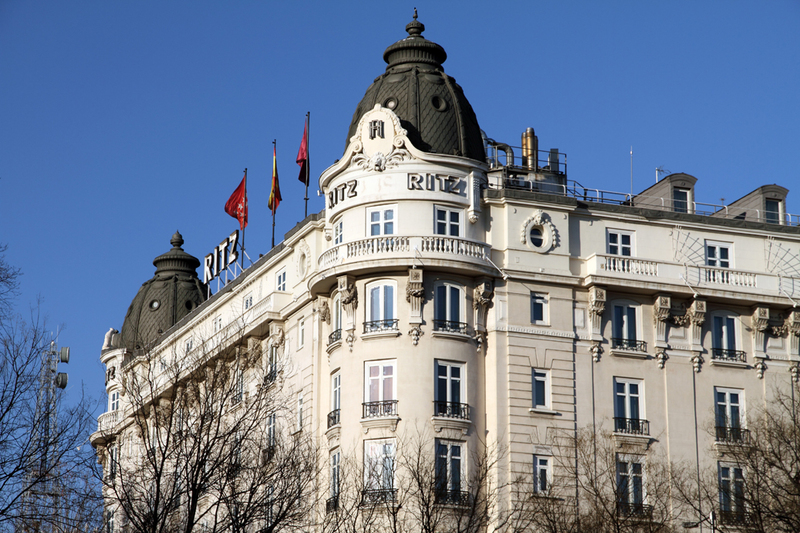 Madrid boasts a wide choice of luxury hotels. Try The Wellington, renowned for its opulent marble bathrooms and sumptuous décor, which has been delighting its famous clientele since 1952. It is located in the chic district of Salamanca. Hotel Orfila, which dates back to 1882, is another nostalgic choice, with its lavish interiors featuring Chinoiserie vases and framed Loewe scarves. The most impressive location belongs to the Westin Palace, which faces the Prado, its stylish restaurant is the epitome of glamour, with its elaborate stained-glass dome. The URSO Hotel & Spa also turns heads with its impressive, historic façade. Take a trip back in time in the 100-year-old ornate elevator. If you fancy staying in an 18th century palace, then the Catalonia Las Cortes is for you, with its impressive baroque decoration. It is in the heart of the city, close to the Prado. Room Mate Laura offers a stylish blend of ancient and modern, with its authentic 19th century style exterior and contemporary interiors. If a central location is top of your list then try the Hotel Moderno. Its elegant exterior dates from 1850, but its rooms have a bright and sunny ambience. Hipsters looking to soak up Madrid’s lively vibe, should head to the trend-setting, four-star Vincci The Mint. It ticks all the boxes with its stunning roof terrace, healthy menu, cutting-edge cocktails and shimmering décor. In Madrid, being on a budget, certainly doesn’t mean that you have to forgo style. The boutique Room Mate Alicia boasts interiors designed by Pascua Ortega, with contemporary furnishings, splashes of bright colour and prints by Roy Lichtenstein. It is set in a convenient location close to Plaza Santa Ana. The laid-back Madrid del Teatro takes the theatre for its inspiration. Its fun rooms are themed to recreate the sets of musicals and it is in a central location, ideal for families or groups of friends on a budget. The Hat Madrid is a hostel which is situated close to Plaza Mayor. It offers cool interiors and a hip rooftop bar, boasting beautiful city vistas. It’s a great place to be at sunset! The lobby sets the tone with its unusual murals by Spanish artist, Yembara. It provides a good choice of accommodation including private rooms and beds in mixed or female-only dormitories. Some rooms have private bathrooms, and other have shared facilities. The hostel can cater for both families and groups of friends.